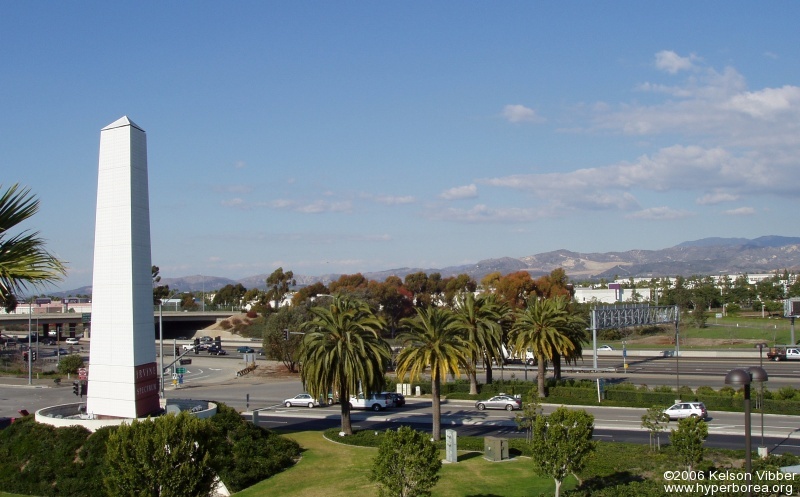 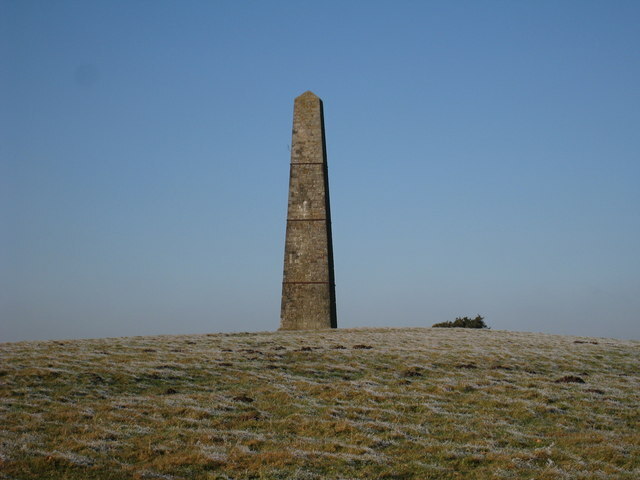 An obelisk is a free standing phallic-like structure which is generally made of monolithic stone. 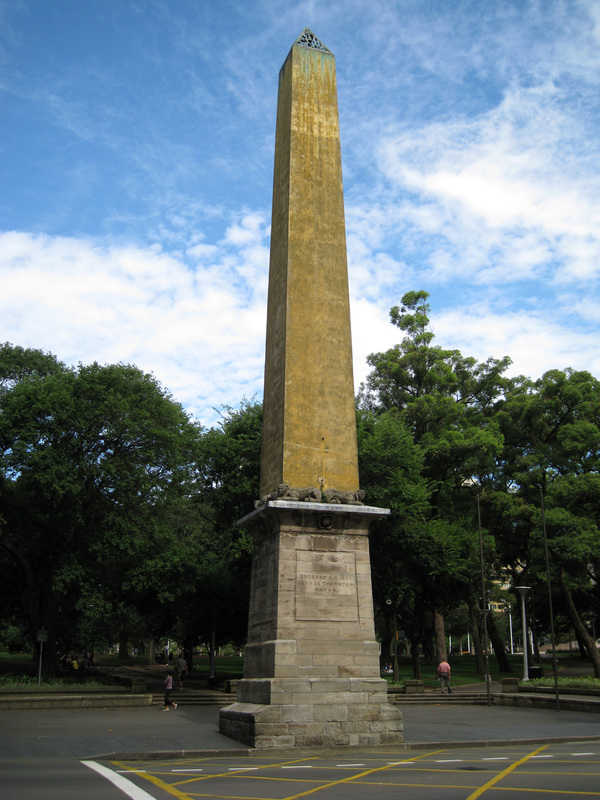 The first Greco-Roman obelisk-like structures were called triumphal columns (e.g., Trajan's Column) whose historical origins are noted around 113 A.D. 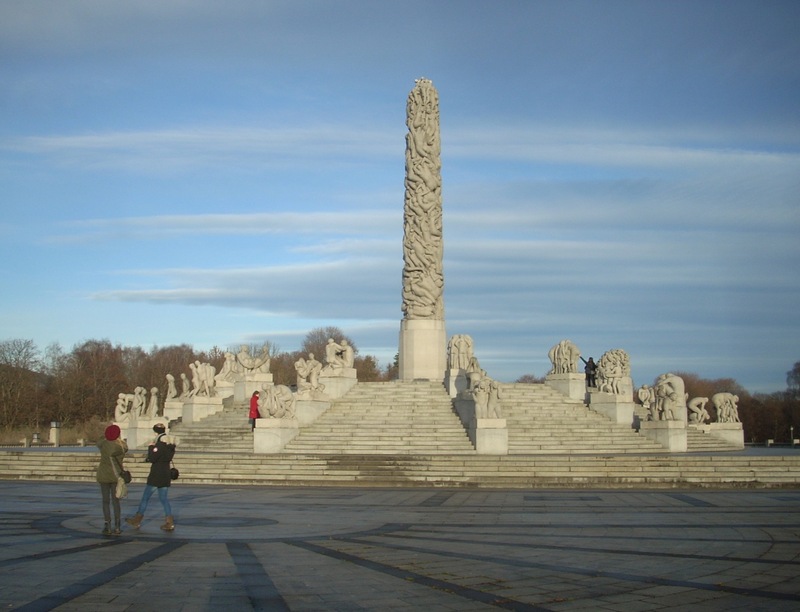 Naturally, the former Roman imperial capitals of Rome (Babylon) and Constantinople (Istanbul) are still home to a majority of these triumphal columns. 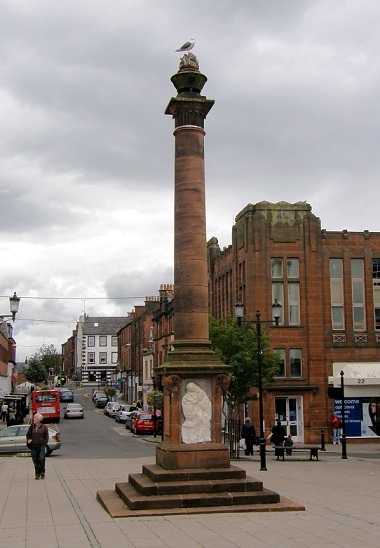 After the alleged fall of the Roman Empire (despite never being defeated militarily), triumphal columns were evidently replaced by obelisks. 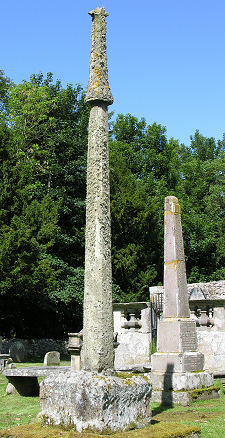 Although modern historical accounts state that obelisks are Egyptian in origin, they are in essence gravestones of the Roman Empire which are shaped in the form of an erect Roman sword, otherwise known as a gladius (see photo). 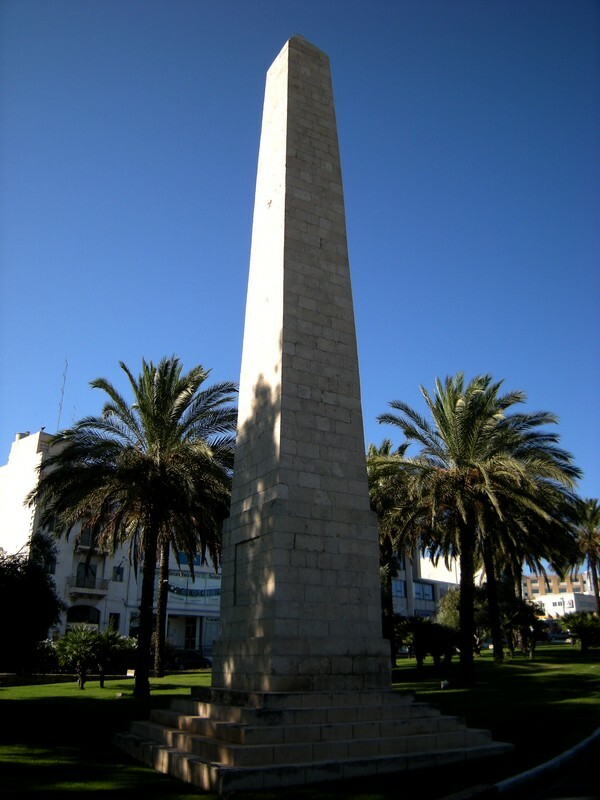 It is imperative to note that the entire Egyptian myth and historical narrative was created as part of an elaborate scheme to cover up the true origins of the Greco-Roman empire, obelisks included. 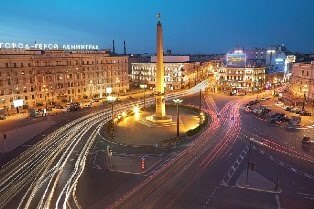 Aside from the Roman gladius (sword) which currently doubles as an obelisk atop the massive Mother Motherland statue in Kiev, Ukraine, a total of 419 obelisks have been identified around the world thus far. 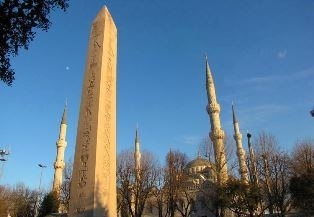 Why the allegedly Egyptian obelisk is found on every continent and in almost every country is rather mysterious until it’s understood that the obelisks is a symbol of Roman death, whether it be financial, spiritual, or physically speaking. 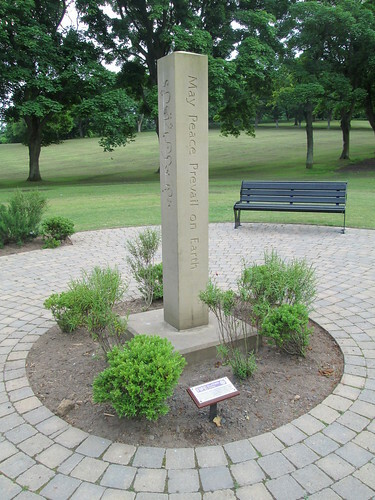 Consequently, it’s only fitting that the largest and most famous of obelisks are found in the locations which are, at least publically, responsible for the most amount of deaths (i.e., financial—London, England (Cleopatra's Needle); spiritual—Rome (Vatican City), Italy (Vatican Piazza San Pietro Obelisk); and militarial—Washington, D.C., (Washington Monument). 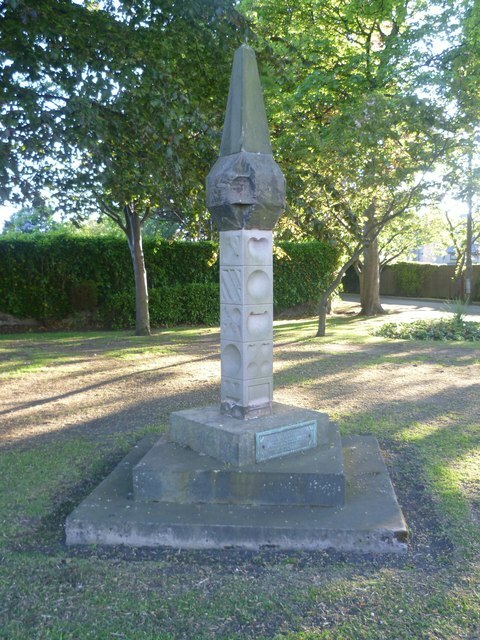 According to modern histircal souces, a dagger, or obelisk, U+2020 † dagger (HTML: &#8224; &dagger;), is a typographical symbol or glyph. 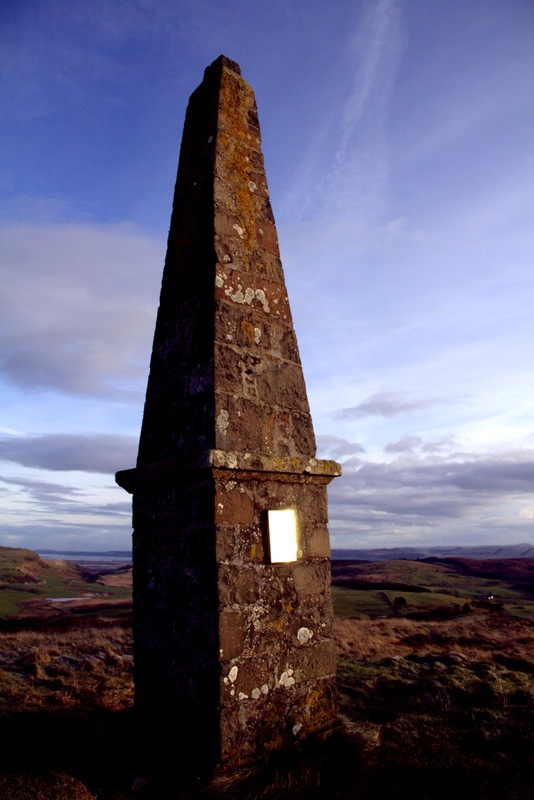 The term "obelisk" derives from Greek ὀβελίσκος (obeliskos), which means "little obelus"; from Ancient Greek: ὀβελός (obelos) meaning "roasting spit". 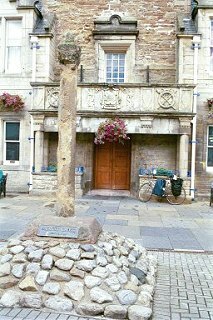 It was originally represented by the ÷ symbol and was first used by the Ancient Greek scholars as critical marks in manuscripts. 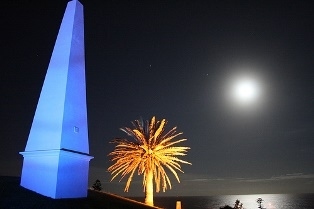 Although the Australian government has stated that obelisks were built as a guiding mark for sailors, the term "obelisk" (B+L+S+K) essentially means “Babylon System Kill”. 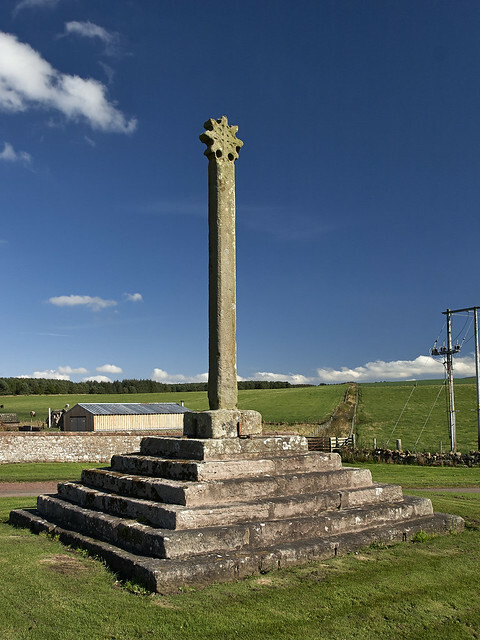 Roman obelisks mark the graves of millions who have been killed by the notorious “Babylon System” so that the Roman Empire can thrive unabated in Greenland. 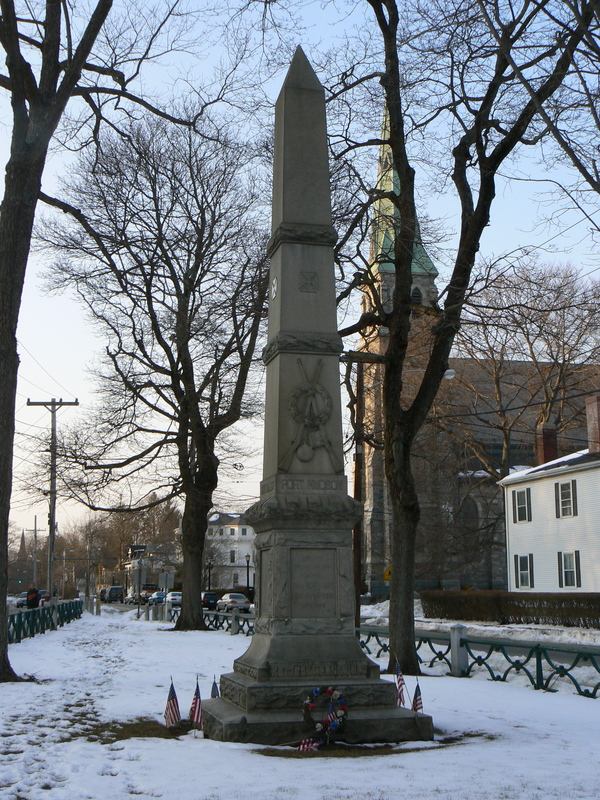 Similar to gravestones which mark the location of a deceased man, woman or child, obelisks mark the location of a major battle or war in which large amounts of soldiers and civilians died. 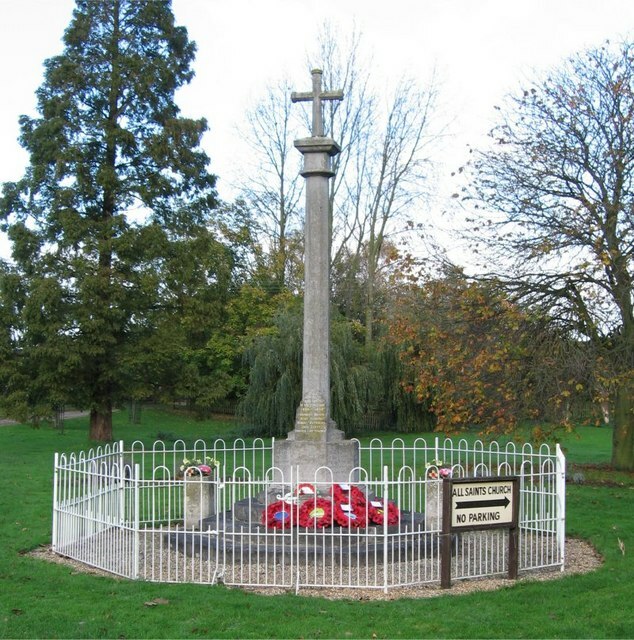 Over the last centuries, hundreds of millions of soldiers who thought they were fighting for their respective countries (e.g., Spain, Portugal, England, America, etc. 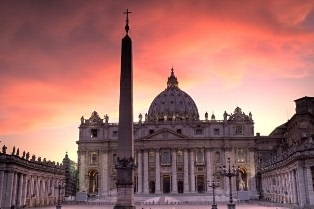 ), were, in reality, fighting for Rome, albeit disguised. 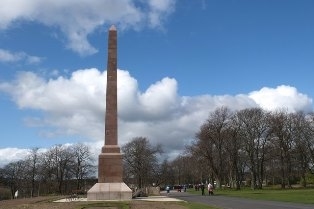 Obelisks are a tragic testament to the well-disguised and deadly sword of the Roman Empire whom to date has been very successful in convincing mankind to kill their own brothers over fraudulent, petty and trivial reasons, hence the irony of war. 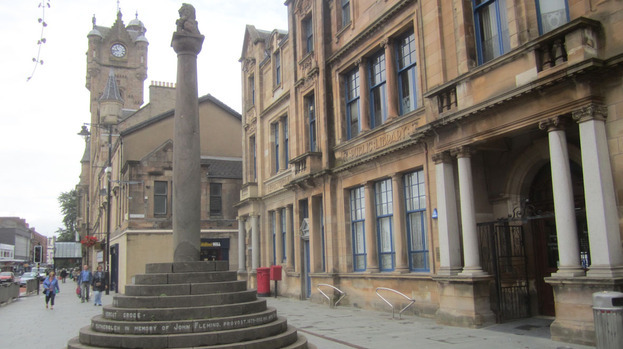 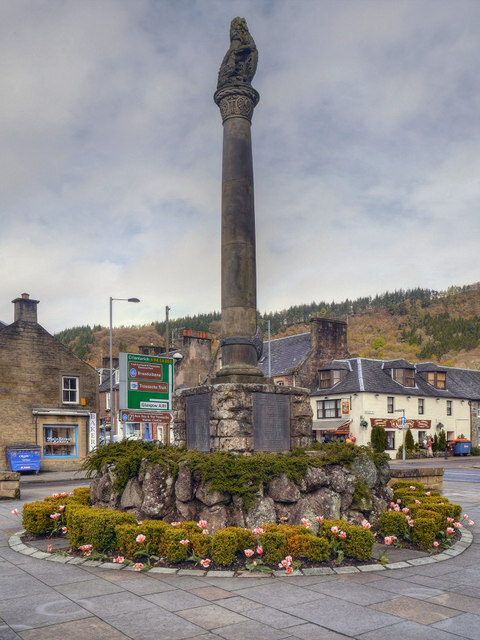 Known as Mercat Crosses in Scotland, obelisks admittedly mark the location where public executions took place and where government proclamations were made, which were all too often one and the same thing. 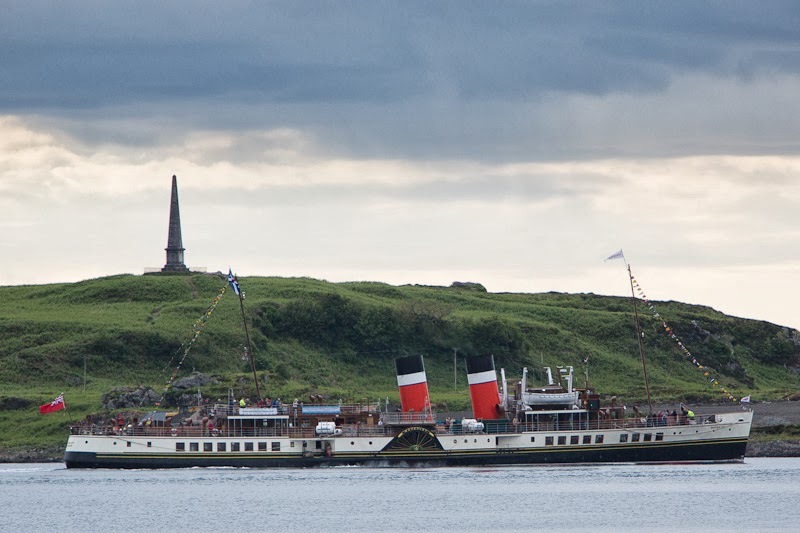 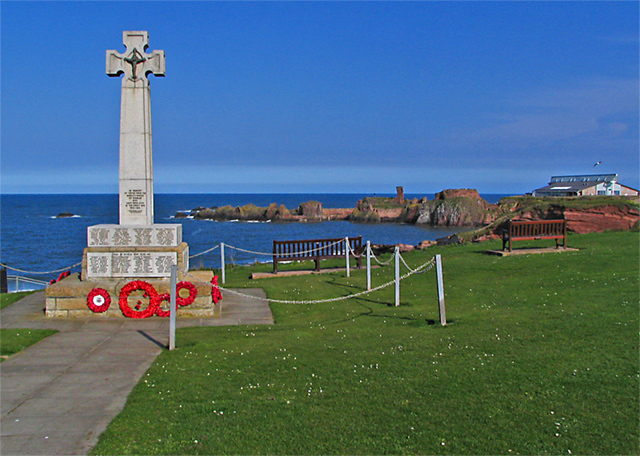 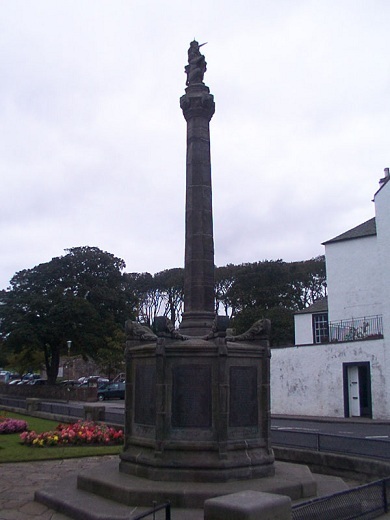 Because Scotland is located relatively close to Greenland, it is home to over 188 obelisks (e.g., mercat crosses and war memorials), each representing a distinct massacre of Scottish people. 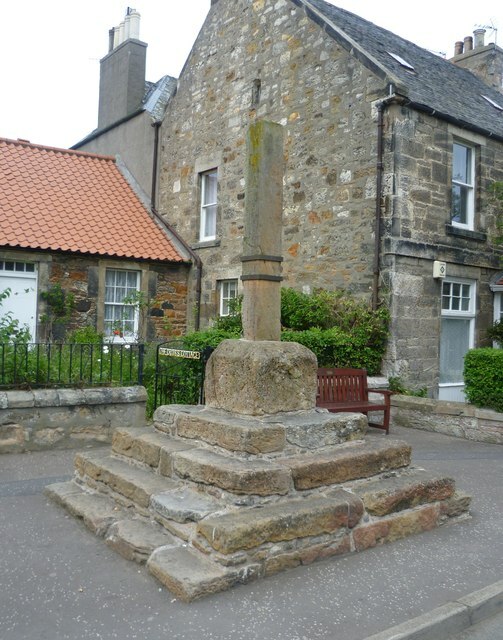 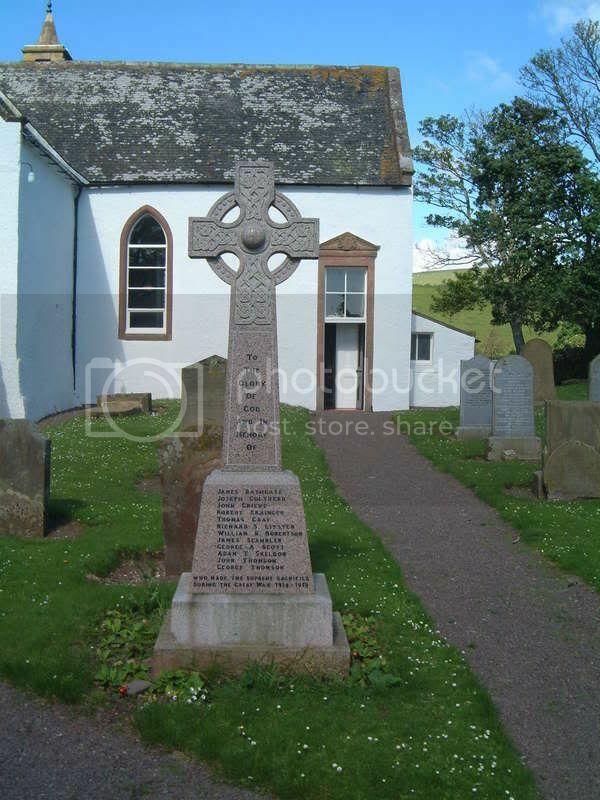 This is likely why graves are often marked with a cross, a tribute to the original mercat crosses of Scotland. 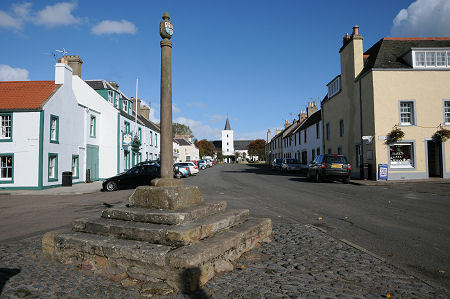 The term “mercat” (M+R+C/K+T) was likely derived from the words “mark it” which was made in respect to the marking of the location where a massacre had taken place. 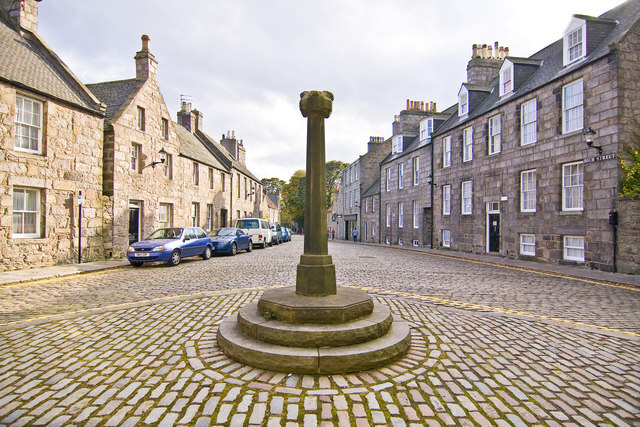 Aside from serving as a mass gravestone, mercat crosses served as a daily reminder of those who were previously executed which is why they are generally found at the center of cities and towns. 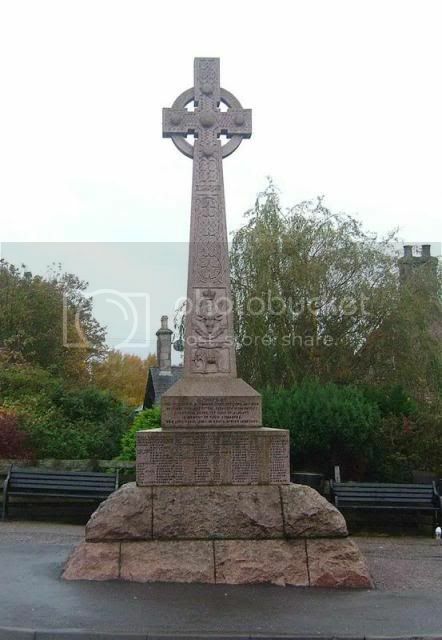 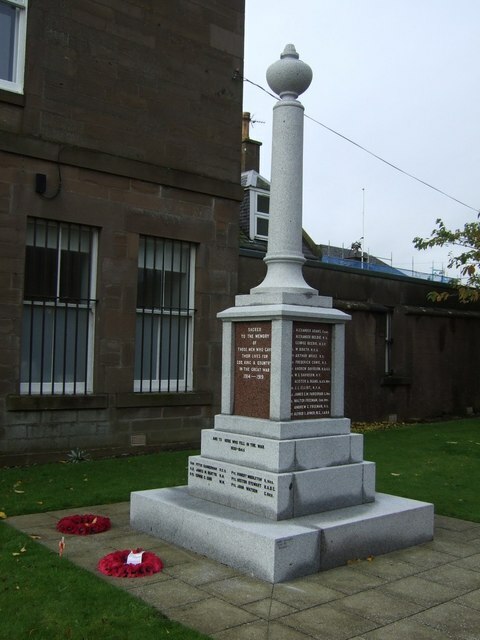 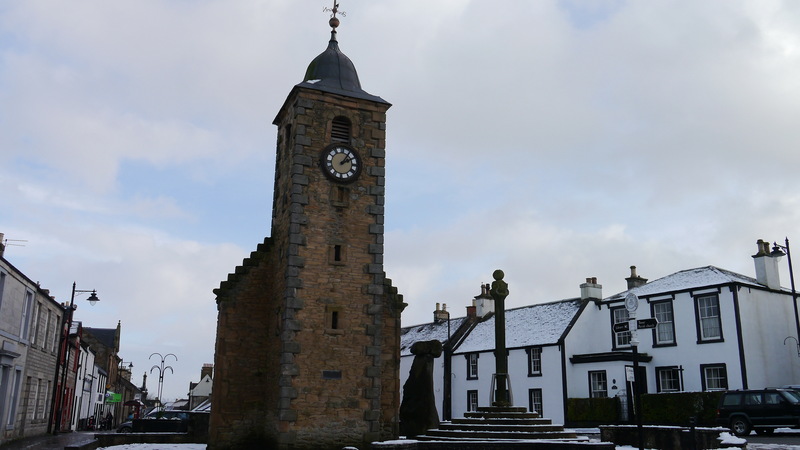 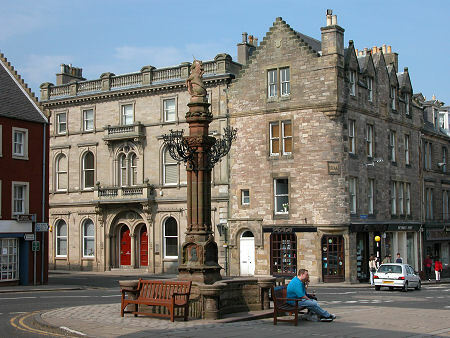 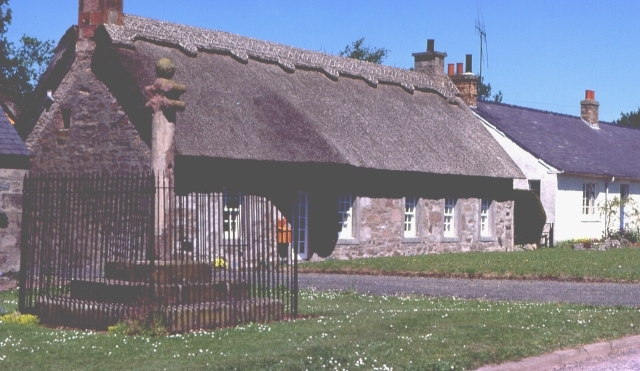 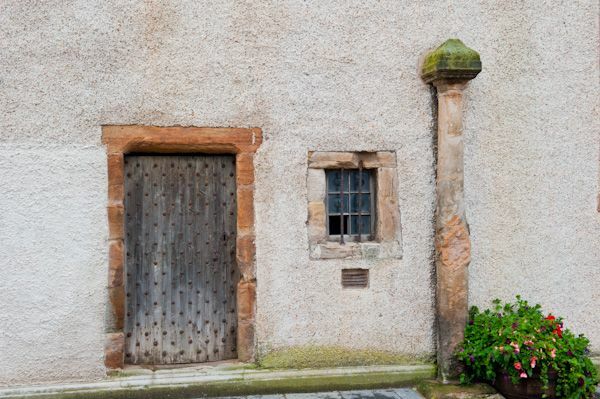 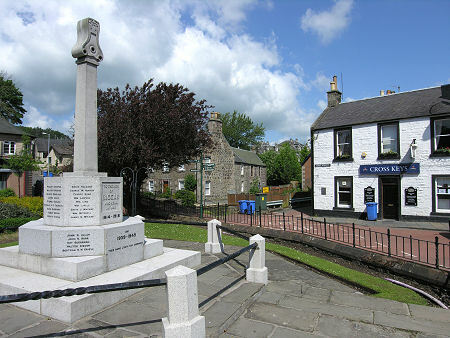 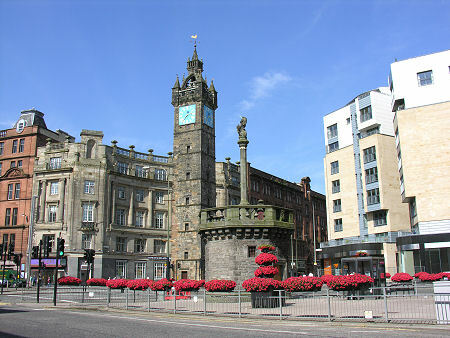 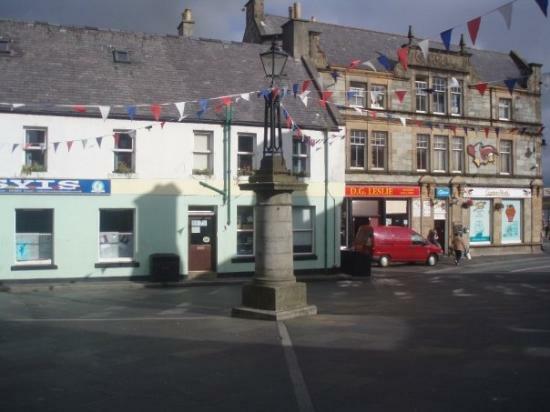 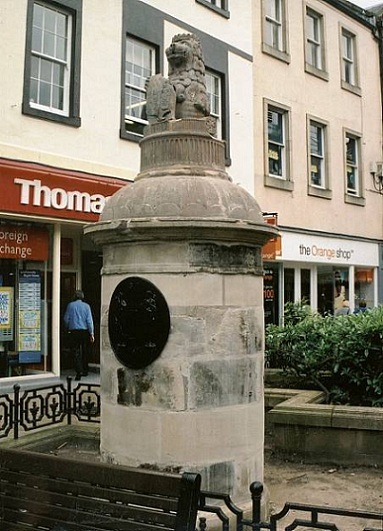 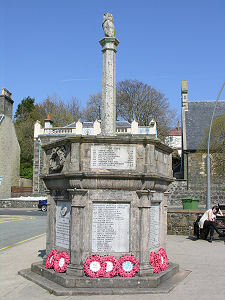 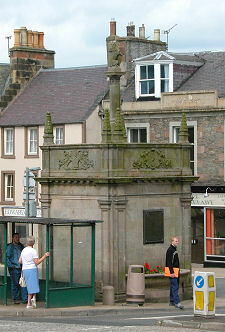 This is also where the term “market” (M+R+C/K+T) was likely derived from as weekly business was purposely conducted around the local mercat cross so that all of the people would be forced to witness the mass grave of their fellow Scottish countryman on a regular basis; an rudimentary form of psychological terrorism. 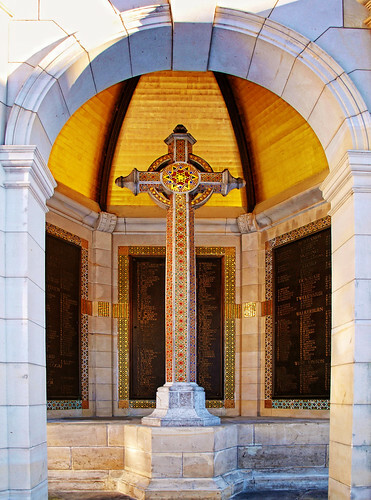 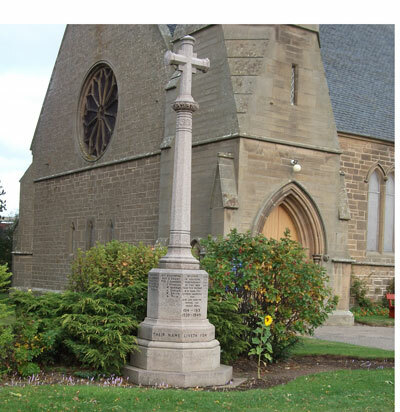 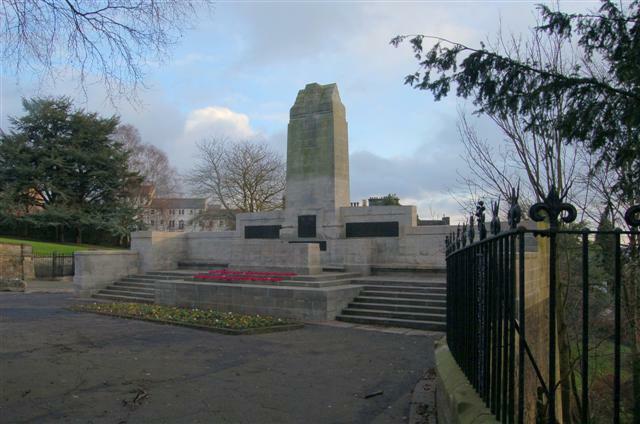 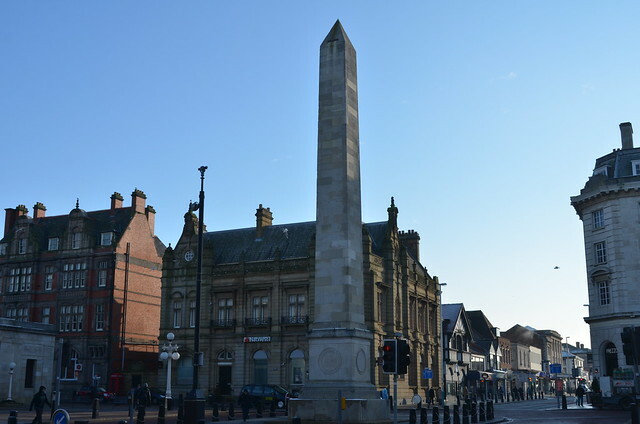 The notion that obelisks are in fact nothing more than fancy Roman gravestones is corroborated by fact that millions of gravestones, mercat crosses and war memorials are shaped in the form of an obelisk. 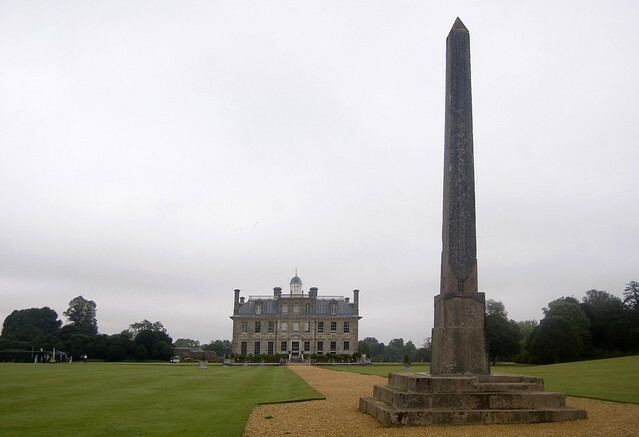 One example of this is the grave of British heroine Alice Ayres which is marked with an obelisk in London, England. 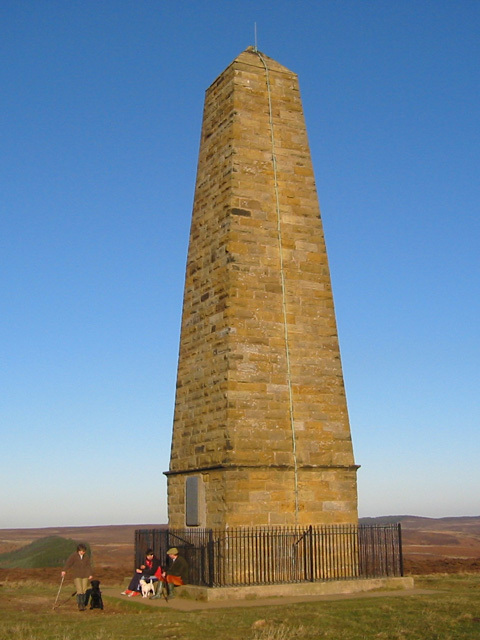 Obelisk Height to Death Ratio? 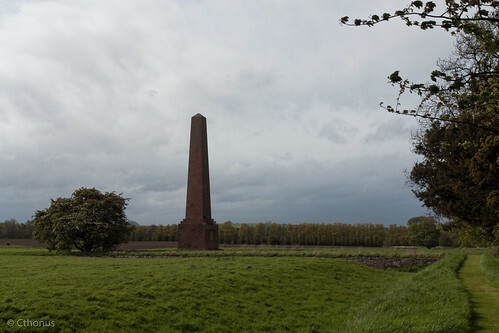 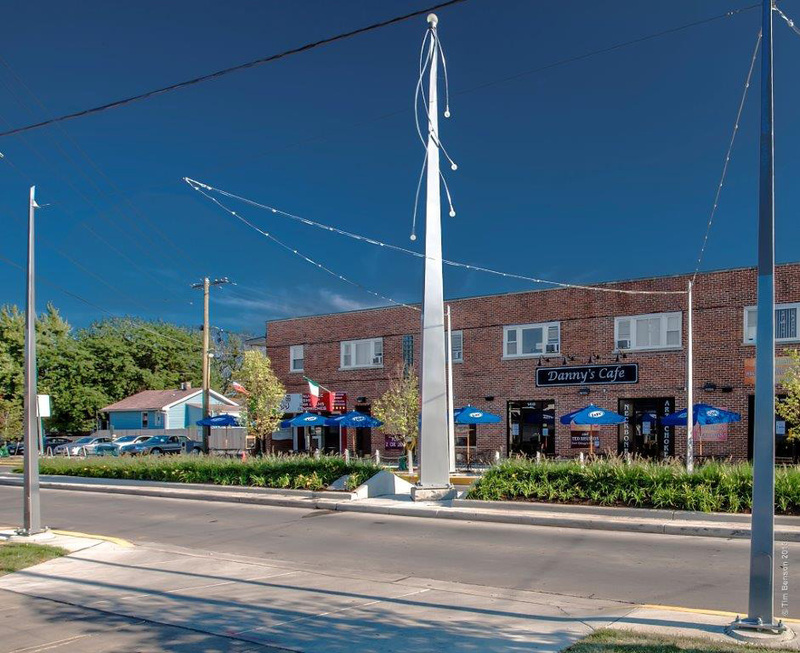 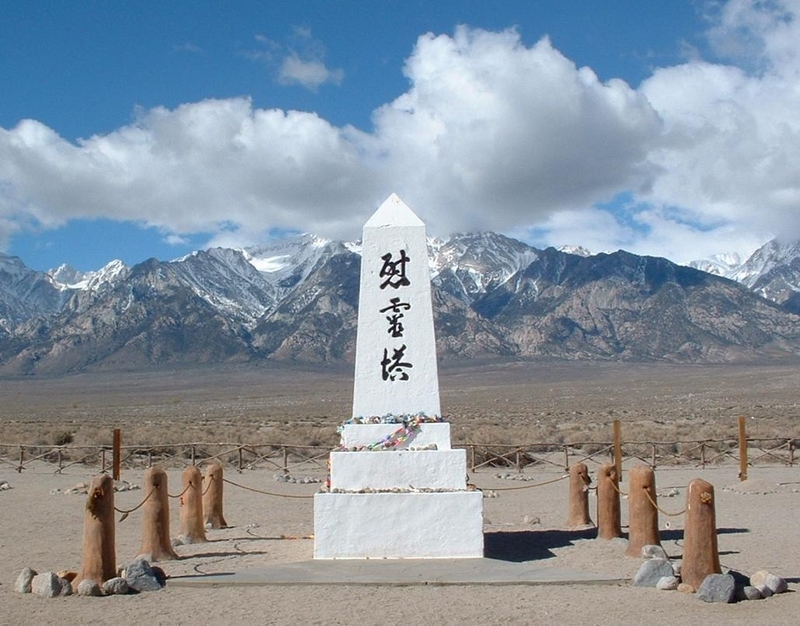 Although further research must be conducted, it does appears that the taller a given obelisk, the higher the death toll of that particular battle or war. 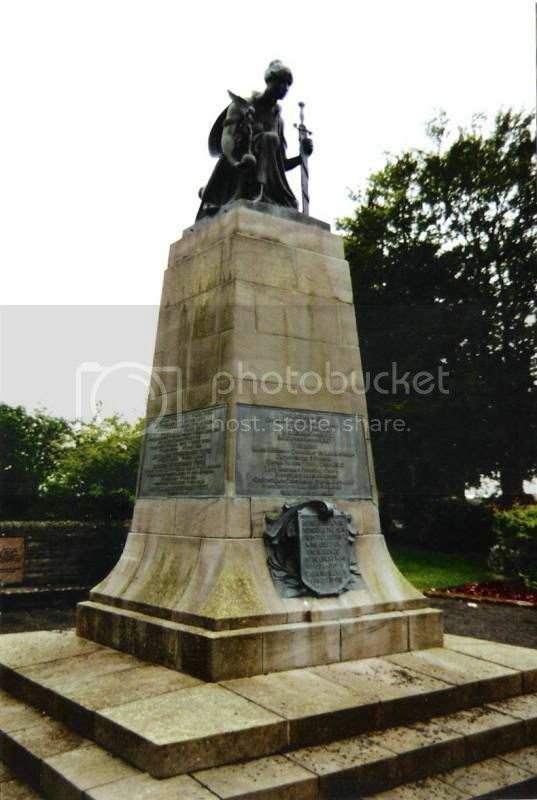 For example, George Washington was the man responsible for leading American troops into the American Revolutionary War (1775-1783) which killed 52,294 people, give or take a few thousands. 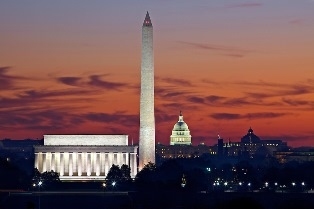 Washington and his heroic battlefield exploits are currently celebrated by the largest of obelisk in the world known as the Washington Monument. 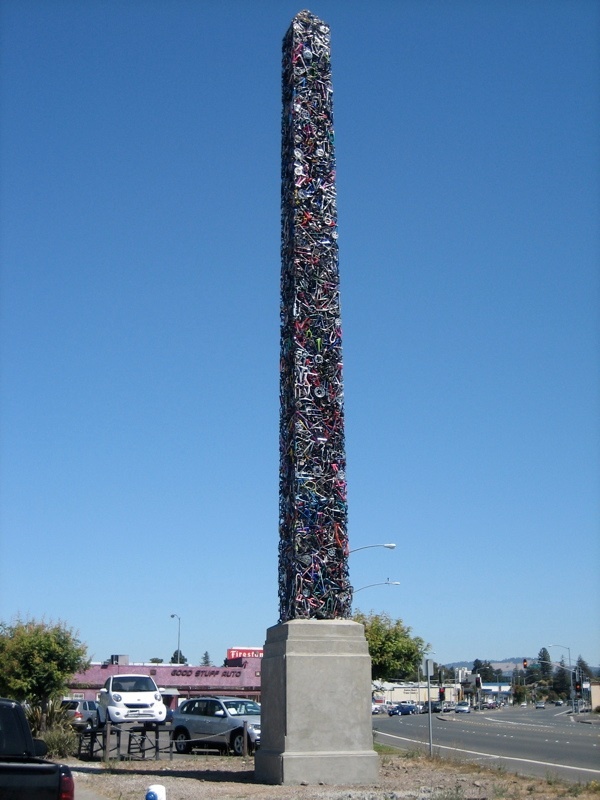 Located in Washington D.C., the obelisk is 555 feet 5 1/8 inches tall. 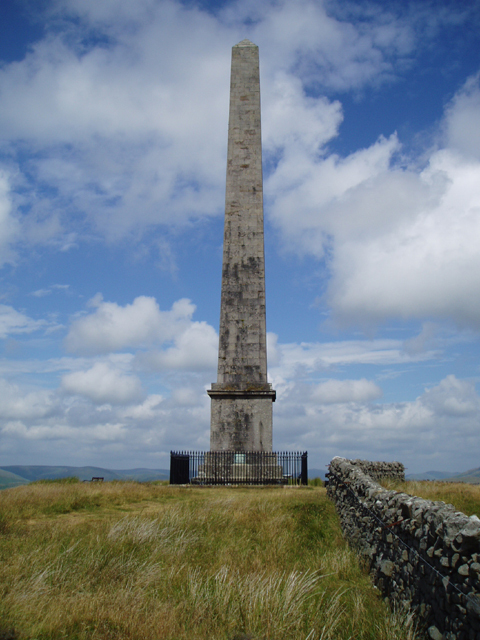 Although Washington’s death toll is officially 3,257 short of 55,551, the numbers are close enough to imply that a death-to-height ration may be in effect for Roman obelisks. 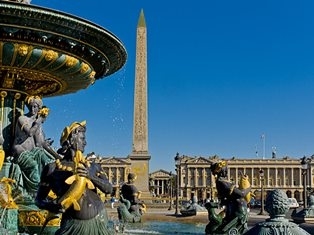 Another example is the Eiffel Tower in Paris, France, possibly the largest obelisk ever built at 1,063 feet. 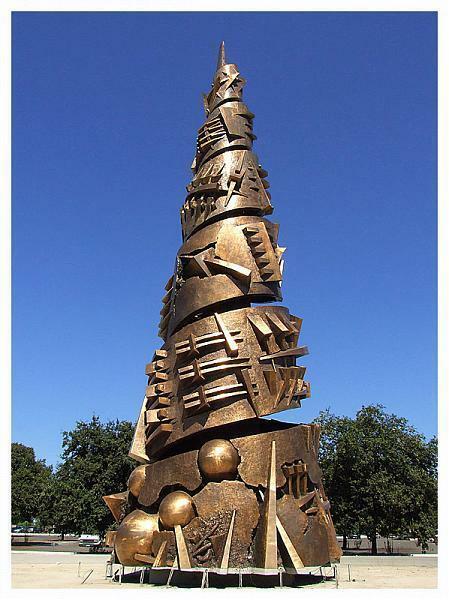 Although not made of stone, the Eiffel Tower (1889) was built exactly 100 years after the French Revolution (1789) which implies that it is a massive gravestone to the scores of French people who were slaughtered during the Reign of Terror. 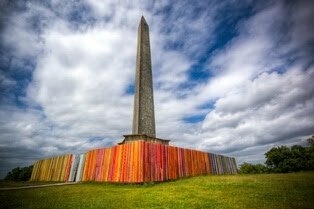 Using the same "height-to-death ration applied to Washington Monument, an estimated 100,000+ people died during the French Revolution, roughly 60,000 more than what is admitted by modern hisorical accounts. 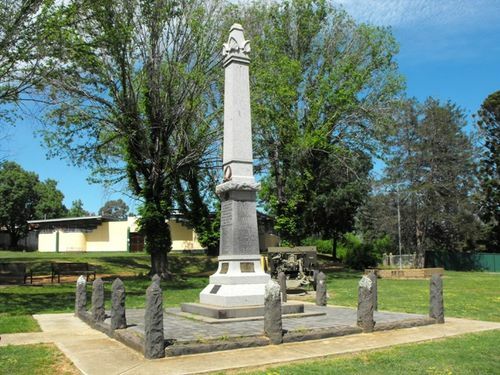 A total of 15 Greco-Roman obelisks have been identified in the Asian and Oceana regions thus far: Australia: Captain Cook Obelisk (Kurnell, New South Wales); Hobart Cenotaph (Hobart, Tasmania); Hyde Park Obelisk (Sydney, New South Wales); Macquarie Obelisk (Sydney, New South Wales); The Obelisk (Newcastle, New South Wales); War Memorial (Perth, Western Australia); and War Memorial (Rutherglen, Victoria); Indonesia: National Monument (Jakarta, Indonesia); Myanmar: Independence Monument (Yangon, Myanmar); New Zealand: One Tree Hill Monument (Auckland); North Korea: Juche Tower (Pyongyang, North Korea); Philippines: Capas National Shrine (Tarlac); Plaza Salcedo (Vigan City); Rizal Monument (Manila); and Singapore: Dalhousie Obelisk (Raffles Place). 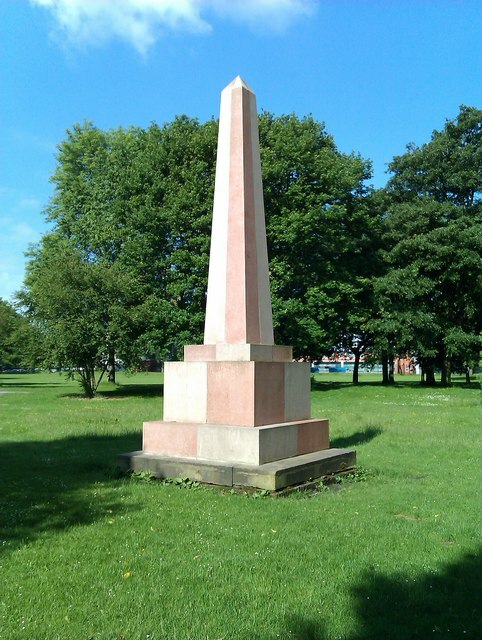 A total of 25 Greco-Roman obelisks have been identified in Europe thus far: Austria: Obeliskbrunnen (Wien); Czech Republic: Mrákotíner Monolith (Prague); Denmark: Huguenots Obelisk (Fredericia); France: Column of the Grande Armée (Boulogne-sur-Mer); Eiffel Tower in Paris; Obélisque d'Arles (Arles); Fontaine des Quatre Dauphins (Aix-en-Provence); Fontenoy Obelisk (Auxerre); July Column (Paris); Luxor Obelisk (Paris); Ireland: Spire of Dublin (Dublin); Wellington Monument (Dublin); Luxembourg: Gëlle Fra (Luxembourg City); Malta: Spencer Monument (Blata l-Bajda); War Memorial (Floriana); Malta Memorial (Valletta); Netherlands: National Monument (Amsterdam); Norway: Vigeland Obelisk (Oslo); Scotland: Rutherford's Monument (Anwoth); Political Martyrs' Monument; (Edinburgh); Spain: Hercules Column (Seville); Julius Caesar Colum (Seville; Sweden: Obelisk at Slottsbacken (Stockholm); and Switzerland: Kornhausbrücke (Bern); and Kramgasse Obelisk (Bern). 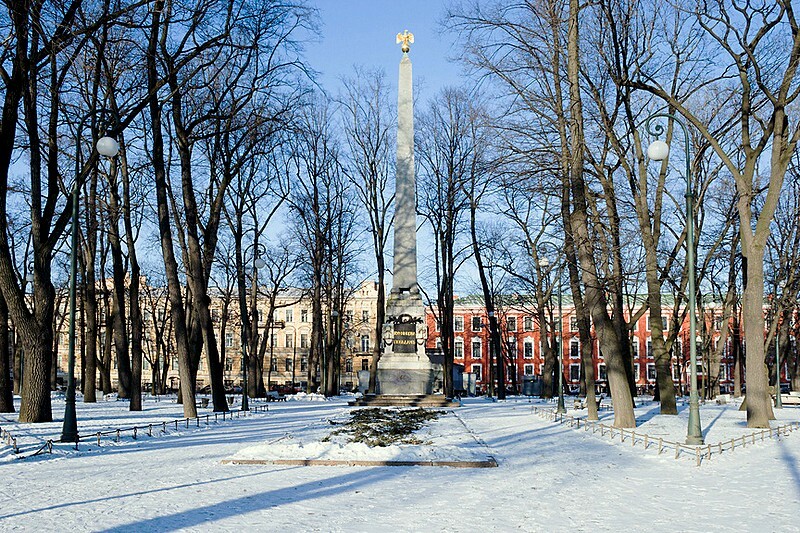 A total of 18 Greco-Roman obelisks have been identified in Eastern Europe thus far: Belarus: Monument to Hero Cities (Minsk); War Memorial Of Brest Fortress (Brest); Czech Republic: Holy Trinity Colum (Olomouc); Georgia: Monument of St. George (Tbilisi); Hungary: Hősök Tere Obelisk (Budapest); Poland: Obelisk Ramses II (Poznan); Royal Castle Obelisk (Warsaw); Romania: Obelisk of Lions (Lași); Russia: Demidov Column (Barnaul, Siberia); Great Patriotic War Monument Obelisk (Moscow); Kubankosaken Obelisk (Krasnodar); Rumyantsev Obelisk (St. Petersburg); Victory Park Obelisk (Moscow); To Leningrad the Hero City Obelisk (St. Petersburg); Ukraine: Kagul Obelisk (Kagul); Serbia: Pobednik Obelisk (Belgrade); Slovakia: Slavín War Memorial (Bratislava); and Ukraine: Maidan Nezalezhnosti Obelisk (Kiev). 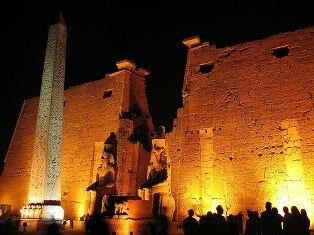 A total of 14 Greco-Roman obelisks have been identified in Egypt thus far: Hatshepsut's Obelisk (Karnakt); Heliopolis Obelisk (Heliopolis); Luxor Temple (Karnak); Masalla Matarayyiah Obelisk (Heliopolis); Obelisk of Ramses II (Cairo); Obelisk of Ranses II (Gezira Island); Obelisk of Thutmose I (Karnak); (Alexandria); Ramses III Obelisk (Karnak); SesostrisI Obelisk (Heliopolis); Seti II Obelisk (Karnak); Unfinished Obelisk (Aswan); and Zamalek Obelisk (Zamalek Island). 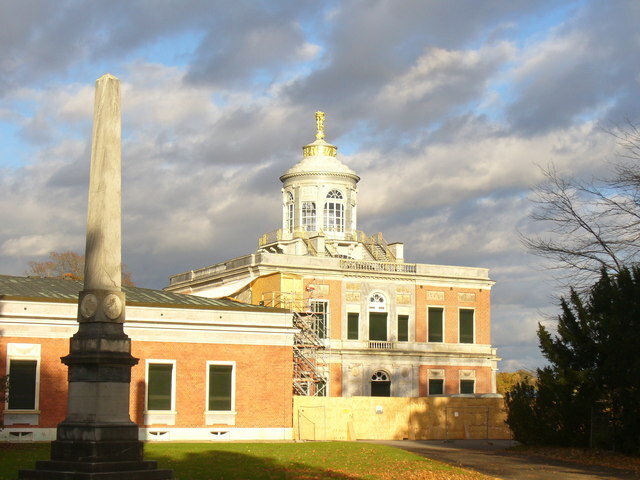 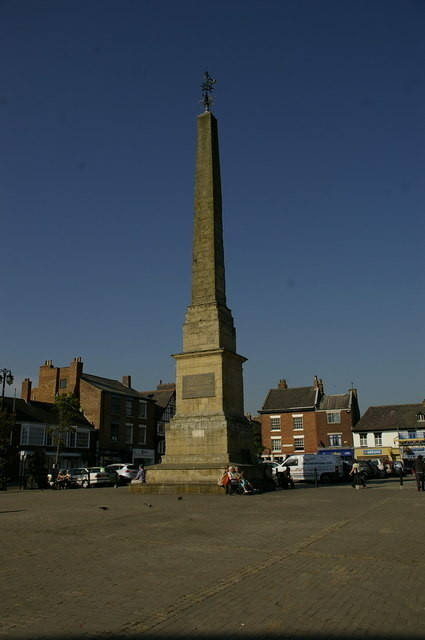 A total of 23 Greco-Roman obelisks have been identified in England thus far: England: Beau Nash Obelisk (Bath); Black Obelisk of Shalmaneser III (London); Brightling Needle (East Sussex); Captain Cook's Monument (North Yorkshire); Cleopatra's Needle Obelisk (London); General Wolfe's Obelisk (Buckinghamshire); Grand' Rue (Saint Helier, Jersey); Ham Hill War Memorial (Somerset); Lansdowne Monument (Wiltshire); Mamhead Obelisk (Mamhead); Nelson's Column (London); Nelson Memorial (Swarland); Obelisk of King Nectanebo II (London); Philae Obelisk (Dorset); Philae Obelisk (Wimborne Minster); Pharaoh Amenhotep II (Durham); Ripon Market Square Obelisk (Ripon); St. Luke Old Street Obelisk (London); Stoodley Pike (West Yorkshire); War Memorial (Lancashire); Wellington Monument (Somerset); Westminster Obelisk (Westminster); and Whitworth Park Obelisk (Manchester). 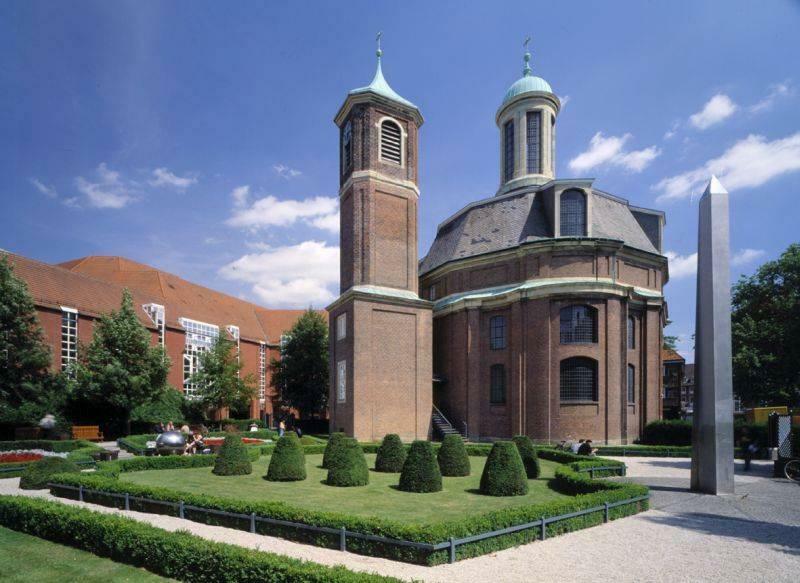 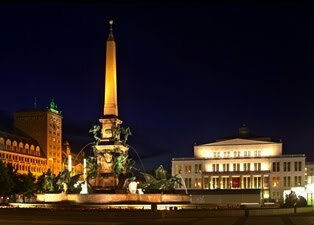 A total of 28 Greco-Roman obelisks have been identified in Germany thus far: Alter Markt Obelisk (Potsdam); Altglienicke Obelisk (Berlin); Augustusplatz Obelisk (Leipzig); Bergen-Belsen Concentration Camp Memorial (Bergen-Belsen); Bismarckplatz Obelisk (Landshut); Buchenwald Concentration Camp Memorial (Buchenwald); Clemenskirche Obelisk (Munster); Eisenbahn Obelisk (Dresden); Ehrenfriedhof Obelisk (Stukenbrock); Erthal Obelisk (Erfurt); FIR Obelisk (Dresden); Halde Hoheward Obelisk (Herten); Karlsruhe Constitution Obelisk (Karlsruhe); Karolinenplatz Obelisk (Munich); König Albert Obelisk (Dresden); König Friedrich August II Obelisk (Dresden); Löwenwall Obelisk (Braunschweig); Lousberg Obelisk (Aachen); Ludwigsmonument (Darmstadt); Luisenplatz Obelisk (Wiesbaden); Marble Palace Obelisk (Potsdam); Obelisk am Karolinenplatz (Bayern); Obeliskportal (Potsdam); Palace of Justice (Munich); Rondellplatz Obelisk (Karlsruhe); Rudolph Brandes Obelisk (Bad Salzuflen); Sanssouci Obelisk (Potsdam); and Titus Sextius Africanus (Munich). 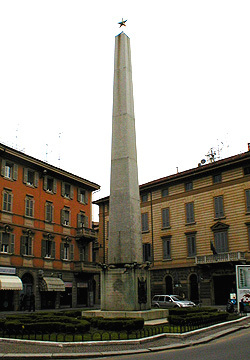 A total of 36 Greco-Roman obelisks have been identified in Italy thus far: Boboli Gardens (Florence); Museo Del Sannio Obelisk (Benevento); Piacenza Obelisk (Piacenza); Piazza del Duomo (Catania, Sicily); Piazza Paolo Obelisk (Benevento); Piazza Santa Sophia Obelisk (Benevento); Reggio Emilia Obelisk (Reggio Emilia); Urbino Obelisk (Marche); Column of Antoninus Pius (Rome); Column of Marcus Aurelius (Rome); Column of Phocas (Rome); Dogali Obelisk (Rome); Flaminio Obelisk (Rome); Fontana dei Quattro Fiumi Obelisk (Rome); Foro Italico Obelisk (Rome); Marconi Obelisk (Rome); Montecitorio Obelisk (Rome); Novecento Obelisk (Rome); Pantheon Obelisk (Rome); Piazza del Popolo Obelisk (Rome); Piazza del Quirinale Obelisk (Rome); Piazza della Minerva Obelisk (Rome); Piazza della Rotonda Obelisk (Rome); Piazza Navona Obelisk (Rome); Pincio Obelisk (Rome); Roma Obelisco Quirinale (Rome); Roma Obelisco Sallustiano (Rome); Santa Maria Maggiore Obelisk (Rome); St. John Lateran Obelisk (Rome); St. Peter’s Square Obelisk (Rome); Trajan's Column (Rome); Trinità dei Monti Obelisk (Rome); Vierstroemebrunnen Piazza Navona Obelisk (Rome); Villa Celimontana Obelisk (Rome); Villa Meddici Obelisk (Rome); and Villa Torlonia Obelisk (Rome). 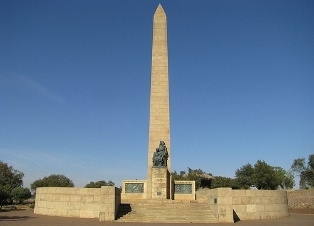 A total of 17 Greco-Roman obelisks have been identified in the Middle East thus far: Iraq: Suq al-Ghazel Minaret (Baghdad); Israel: Ashdod Ad-Halom Memorial (Ad Halom); Bahia Obelisk (Mount Carmel, Haifa); Caesarea Obelisk (Caesarea Maritima); Independence Memorial (Safed); Kyrgyzstan: Ala-Too Square (Bishkek); Pakistan: Nicholson's Obelisk (Margalla Hills); Syria: The Broken Obelisk (Ashur-bel-kalas); Turkey: Column of Arcadius (Istanbul); Column of Constantine (Istanbul); Column of Justinian (Istanbul); Column of Marcian (Istanbul); Column of Theodosius (Istanbul); Column of the Goths (Istanbul); Obelisk of Theodosius (Istanbul); Walled Obelisk (Istanbul); and Turkmenistan: Gutluk Temir Minaret (Konye-Urgench). 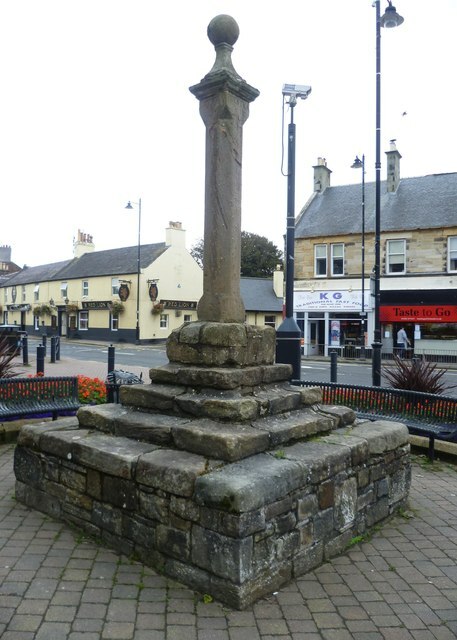 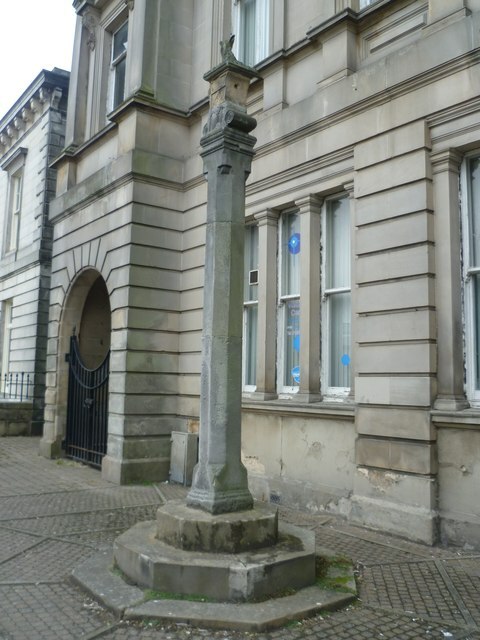 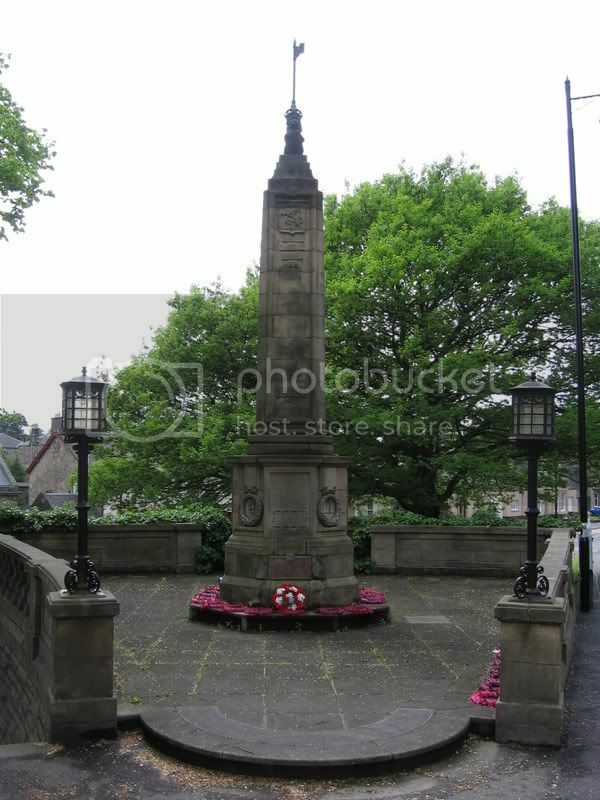 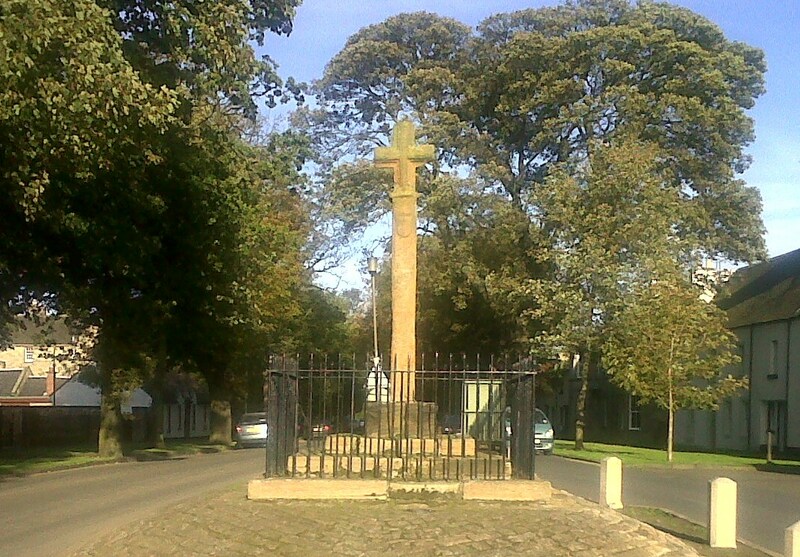 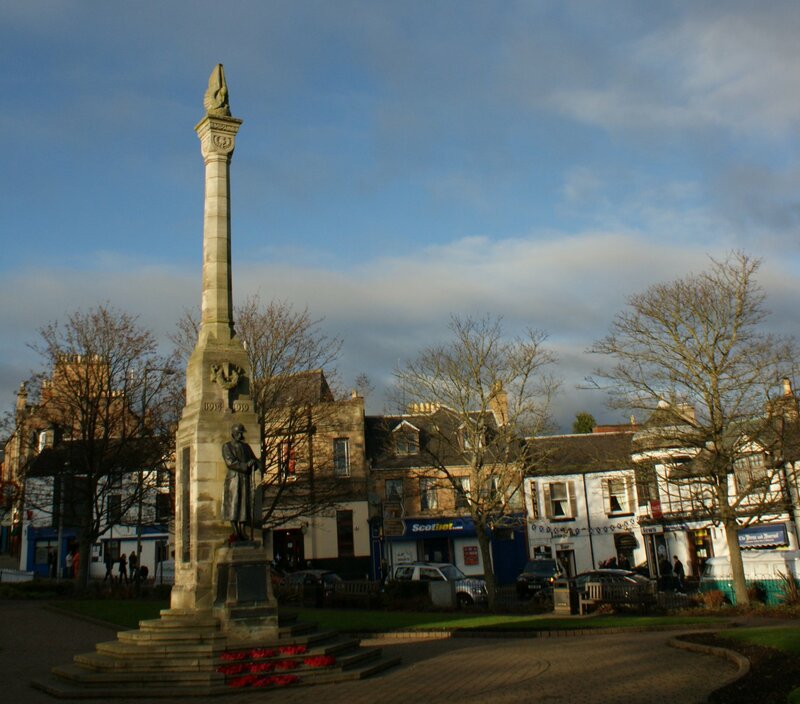 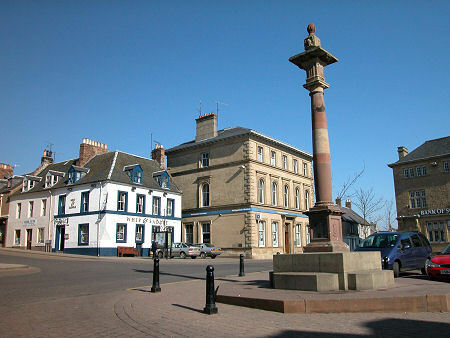 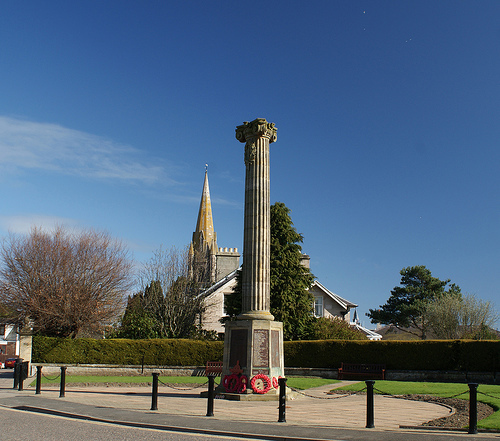 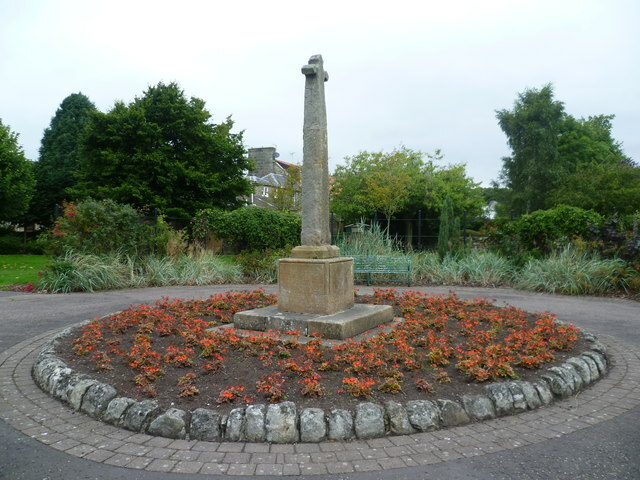 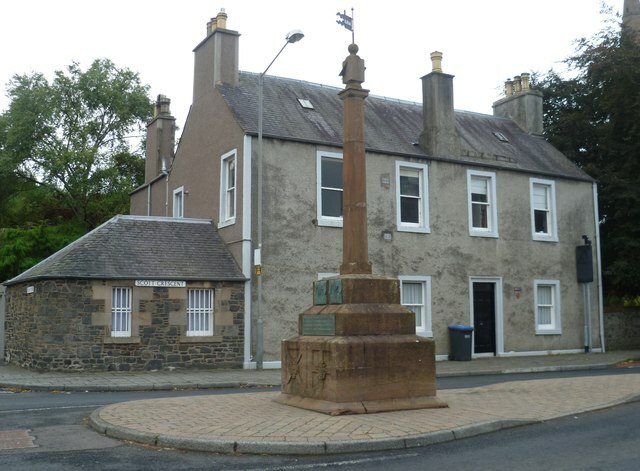 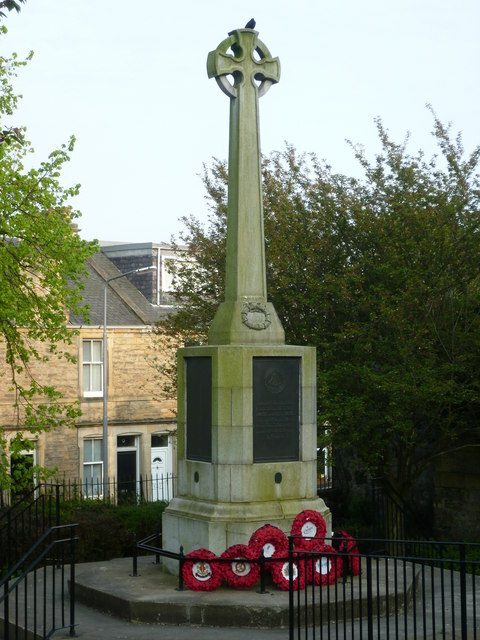 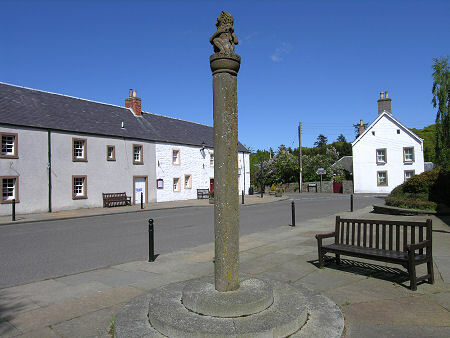 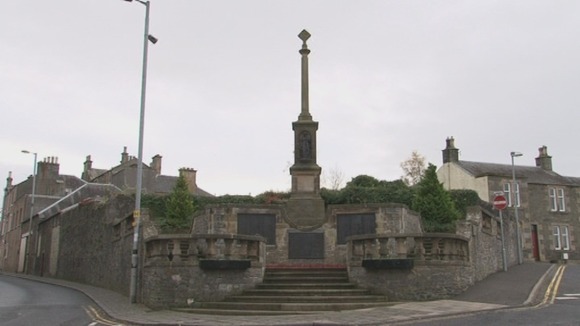 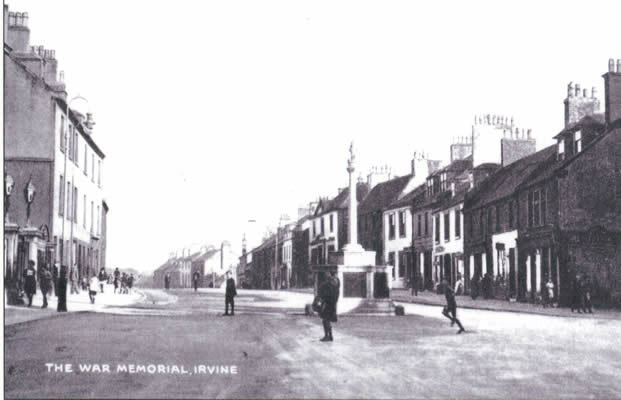 A total of 181 Greco-Roman obelisks have been identified in Scotland thus far: Aberdeen Market Cross (Aberdeen); Burnes Memorial Obelisk (Stewarton); Canongate Burgh Cross (Canongate); Clackmannan Cross (Clackmannan); Colonel Gardiner's Monument (Prestonpans); Declarations Obelisk (Sanquhar); Duthie Park Obelisk (Aberdeen); Earl of Morton's Obelisk (Fife); Elie Monument (Fife); George Square Obelisk (Glasgow); Grave of William Steele Brown (Cemy); Gregory's Pillar (Fife); Haddington Obelisk (Haddington); Henlawshiel Obelisk (Hawick); Henry Bell Obelisk (Helensburg); Hillfoot Cemetery Obelisk (East Dunbartonshire); Holytown Cemetary Obelisk (Holytown); Hutcheson Obelisk (Oban); James Mounsey Obelisk (Edinburgh); John McMillan Memorial (Dalserf); Kinrossie Cross (Kinross); Kirkcaldy Obelisk (Kirkcaldy); Luggie Water Memorial (East Dunbartonshire); Lynedoch Obelisk (New Scone); MacCodrum's Obelisk (Balranald); Malcolm Monument Obelisk (Langholm); Martyrs Memorial (St. Andrews); Melrose Obelisk (Melrose); Mercat Cross (Aberlady); Mercat Cross (Abernethy); Mercat Cross (Airth); Mercat Cross (Alloa); Mercat Cross (Anstruther); Mercat Cross (Banff); Mercat Cross (Beauly); Mercat Cross (Brechin); Mercat Cross (Carnwath); Mercat Cross (Clackmannan); Mercat Cross (Campbeltown); Mercat Cross (Canongate); Mercat Cross (Carnwath); Mercat Cross (Cockburnspath); Mercat Cross (Coldingham); Mercat Cross (Crail); Mercat Cross (Cullen); Mercat Cross (Culross); Mercat Cross (Cumnock); Mercat Cross (Cupar); Mercat Cross (Dingwall); Mercat Cross (Dornoch); Mercat Cross (Doune); Mercat Cross (Duffus); Mercat Cross (Dumfries); Mercat Cross (Dunbar); Mercat Cross (Dundee); Mercat Cross (Dunfermline);Mercat Cross (Duns); Mercat Cross (Edinburgh); Mercat Cross (Falkirk); Mercat Cross (Fettercairn); Mercat Cross (Forres); Mercat Cross (Fraserburgh); Mercat Cross (Galashiels); Mercat Cross (Gifford); Mercat Cross (Glamis); Mercat Cross (Glasgow); Market Cross (Gifford); Mercat Cross (Haddington); Mercat Cross (Hawick); Mercat Cross (Houston); Mercat Cross (Inveraray); Mercat Cross (Inverbervie); Mercat Cross (Inverkeithing); Mercat Cross (Inverness); Mercat Cross (Jedburgh); Mercat Cross (Kilmaurs); Mercat Cross (Kilwinning); Mercat Cross (Kincardine); Mercat Cross (Kinross); Mercat Cross (Kinrossie); Mercat Cross (Kirkcaldy); Mercat Cross (Kirkcudbright); Mercat Cross (Langholm); Mercat Cross (Lerwick); Mercat Cross (Leven); Mercat Cross (Linlithgow); Mercat Cross (Lochmaben); Mercat Cross (Longforgan); Mercat Cross A (Lossiemouth); Mercat Cross B (Lossiemouth); Mercat Cross (Meikleour); Mercat Cross (Melrose); Mercat Cross (Moniaive); Mercat Cross (Musselburgh); Mercat Cross (Newbigging); Mercat Cross (North Berwick); Mercat Cross (Oban); Mercat Cross (Old Aberdeen); Mercat Cross (Old Rayne); Mercat Cross (Oldhamstock); Mercat Cross (Ormiston); Mercat Cross (Peebles); Mercat Cross (Perth); Mercat Cross (Pittenweem); Mercat Cross (Portree); Mercat Cross (Prestonpans); Mercat Cross (Prestwick); Mercat Cross (Renfrew); Mercat Cross (Rutherglen); Mercat Cross A (Scone); Mercat Cross B (Scone); Mercat Cross (Selkirk); Mercat Cross (St. Peter's Kirk); Mercat Cross (Stirling); Mercat Cross (Stonehaven); Mercat Cross (Swinton); Mercat Cross (Tain); Mercat Cross (Thornhill, Dumfries and Galloway); Mercat Cross (Turriff); Mercat Cross (Wester Pencaitland); Mercat Cross (Whithorn); Mercat Cross A (Wigtown); Mercat Cross B (Wigtown); Mercat Memorial (Dunkeld); Monument to the Battle of Drumclog (Lanarkshire); Nelson’s Memorial Obelisk (Glasgow); Old Mercat Cross (Anstruther); Old Scone Cross (Scone); Original shaft of the Dunfermline Cross (Fife); Ringford Obelisk (Ringford); Robert Walter Stewart Monument (Bishopton); Sanquhar Declarations Obelisk (Sanquhar); Scottish War Memorial (Alyth); Scottish War Memorial (Dingwall); Tornaveen Obelisk (Tornaveen); Unicorn on the Preston Cross (Prestonpans); War Memorial (Biggar); War Memorial (Brechin); War Memorial (Burntisland); War Memorial (Callander); War Memorial (Coldingham); War Memorial (Creiff); War Memorial (Dunbar); War Memorial (Dundee); War Memorial (Dunfermline); War Memorial (Dunkeld); War Memorial (Duns); War Memorial (Footdee); War Memorial (Glamis); War Memorial (Houton); War Memorial (Inverbervie); War Memorial (Inverkeithing); War Memorial (Inverness); War Memorial (Irvine); War Memorial (Kilmaurs); War Memorial (Kilwinning); War Memorial (Kincardine); War Memorial (Kinross); War Memorial (Lerwick); War Memorial (Leven); War Memorial (Longforgan); War Memorial (Luncarty); War Memorial (Luss); War Memorial (Maybole); War Memorial (Melrose); War Memorial (Nairn); War Memorial (Newton Stewart); War Memorial (Old Rayne); War Memorial (Oldhamstock); War Memorial (Ormiston); War Memorial (Peebles); War Memorial (Prestwick); War Memorial (Selkirk); War Memorial (St. Andrews); War Memorial (Stewarton); War Memorial (Stirling); War Memorial (Whithorn); War Memorial at Pocra Quay (Aberdeen); War Memorial in the Wellmeadow (Blairgowrie); Wellington Square Gardens Obelisk (Ayr); West Highland Way Obelisk (East Dunbartonshire); and Whita Hill Obelisk (Langholm). 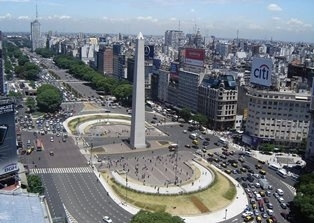 A total of 12 Greco-Roman obelisks have been identified in South America thus far: Argentina: Obelisco de Buenos Aires (Buenos Aires); Colon-Casa Rosada (Buenos Aires); Bolivia: Obelisk of La Paz (La Paz); Brazil: Obelisk of São Paulo (São Paulo); Pirulito da Praça Sete (Belo Horizonte); Dominican Republic: El Obelisco Macho del Malecón (Santo Domingo); Monumento de Santiago (Santiago de los Caballeros); Mexico: El Ángel Obelisk (Mexico City); Peru: Tello Obelisk (Chavín de Huantar); Puerto Rico: Parque de la Abolición (Ponce); Uruguay: Obelisk of Montevideo (Montevideo); and Venezuela: Plaza Francia Obelisk (Caracas). 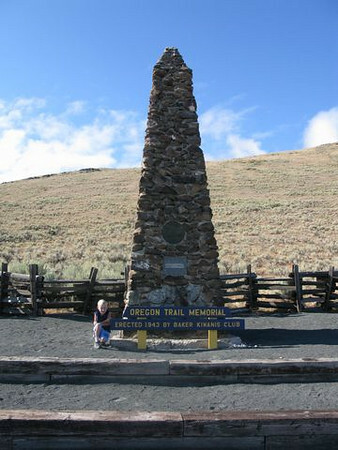 A total of 42 Greco-Roman obelisks have been identified in the United States thus far: 21 Oregon Trail Obelisks (Boise, Idaho); 26th Regiment Volunteer Infantry Monument (Norwich, Connecticut); Aksarben Village Obelisk (Omaha, Nebraska); Avis Obelisk (Pittsfield Township, Michigan); Beacon Hill Monument (Boston, Massachusetts); Bennington Battle Monument (Bennington, Vermont); Broken Obelisk (Houston, Texas); Bunker Hill Monument (Charlestown, Massachusetts); Central Park Obelisk (New York, New York); Chalmette Monument (Chalmette, Louisiana); Cyclisk Obelisk (Santa Rosa, California); Dauphin County Veteran's Memorial Obelisk (Harrisburg, Pennsylvania); Foshay Tower (Minneapolis, Minnesota); Gebrochener Obelisk (New York, New York); Groton Monument (Groton, Connecticut); Henry M. Flagler Obelisk (Miami Beach, Florida); High Point Monument (Montague, New Jersey); Jefferson Davis Monument (Fairview, Kentucky); Joseph Smith Birthplace Memorial (South Royalton, Vermont); July 3 Monument (Cemetery Ridge, Minnesota); Lincoln’s Tomb Obelisk (Springfield, Illinois); Luxor Obelisk (Las Vegas, Nevada); Manzanar Obelisk (Independence, California); McKinley Monument (Buffalo, New York); Monument to the 26th Wisconsin Infantry (Gettysburg, Pennsylvania); Oregon Trail Memorial (Baker City, Oregon); Oriskany Battlefield Monument (Rome, New York); Patriots' Grave Obelisk (Arlington, Massachusetts); Perry's Victory and International Peace Memorial (Sandusky, Ohio) Rugby Obelisk (Rugby, North Dakota); San Jacinto Monument (La Porte, Texas); Sergeant Floyd Monument (Sioux City, Iowa); Irvine Spectrum Obelisk (Irvine, California); The Obelisk (University Park, Pennsylvania); Trinity Site Obelisk (Trinity Site, New Mexico); Trylon and Perisphere (Flushing, New York); Union Square (San Francisco, California); Veterans Memorial Plaza (Indianapolis, Indiana); Veterans Monument (Elizabethton, Tennessee); Victory Memorial (Fort Recovery, Ohio); Washington Monument (Washington, D.C.); Washington Monument (Baltimore, Maryland); and William Dudley Chipley Memorial (Pensacola, Florida).